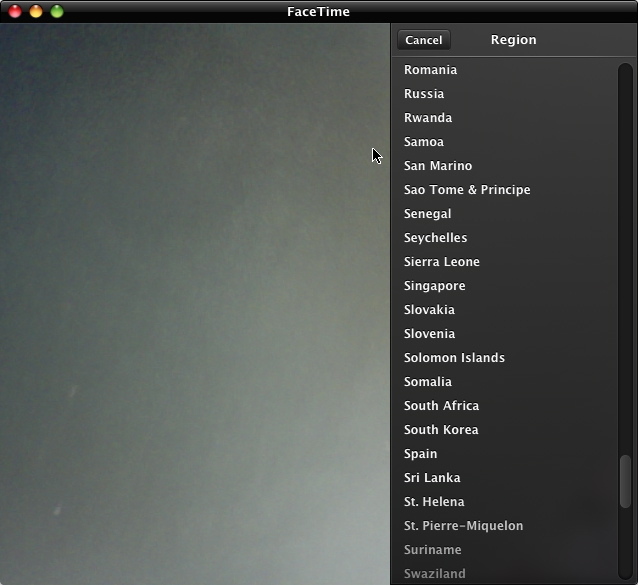 During yesterday’s Back to the Mac event Apple released the FaceTime app for Macs running Mac OS X Snow Leopard. Now you can have visual calls directly with iPhone 4 (needs iOS 4.1) and iPod touch 4G. FaceTime is in beta and you can download it from Apple’s site. 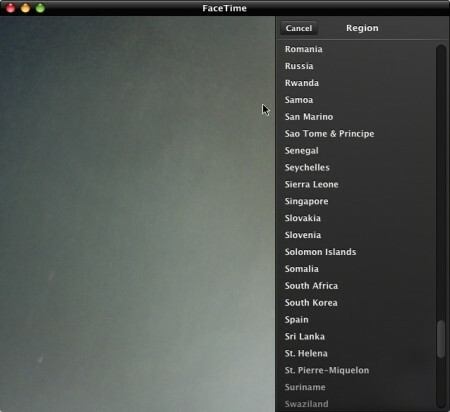 Even though it works in Saudi Arabia when you go to the preferences then account then change location you will notice that your location is set to the United States and if you want to change it there is no Saudi Arabia in the list of countries displayed by the FaceTime app. Jordan and Qatar are on that country list even though they don’t have FaceTime for the iPhone 4/iPhone touch 4G. until when are we going to be treated like that??? Apple didn’t comment about absence of this feature in Middle East. Though I’m sure Steve knows that great many people are complaining. Let us keep our fingers crossed and watch what they’ve got to say.. I got my iPhone from mobily and upgraded it to 4.1 and ofcourse FaceTime disappeared. But the guys found how to fix it, and I did it, and called my MAC Book FaceTime form my iPhone and it worked like a charm! So both ways FT is working.. I am concern about the macbook face time ? WTF! why they don’t care about us although a lot of people here in Kuwait are obsessed of apple..